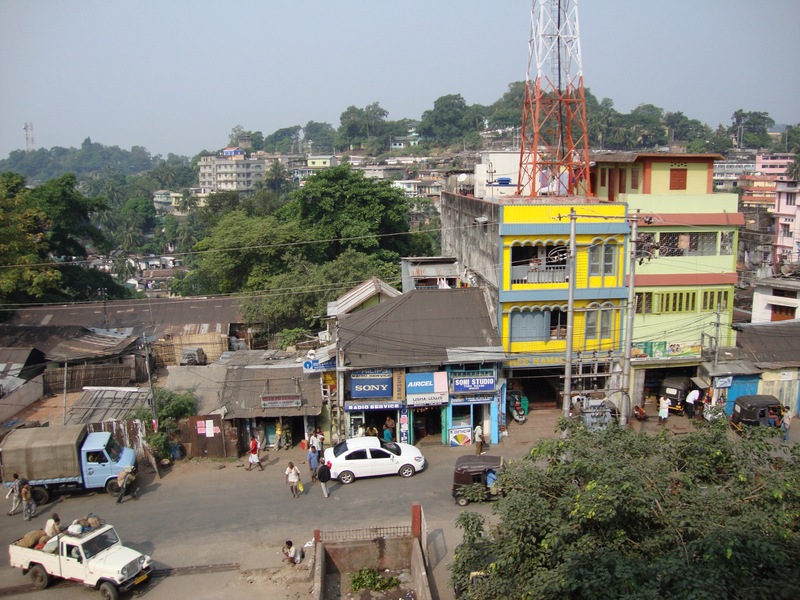 One day during my volunteer term at a school in the Garo Hills, I overheard two of my colleagues chatting in the teachers’ room before classes. One of these teachers was a Garo, and she informed her non-Garo fellow teacher that the Garos had originated in Tibet, and “plenty Garos” still lived there. I do not know where this bit of cultural memory originated—whether it came from modern anthropology or the Garos’ own oral traditions. In any event, both the social sciences and Garo traditions claim that the Garos migrated from Tibet into the area that would become northeast India. 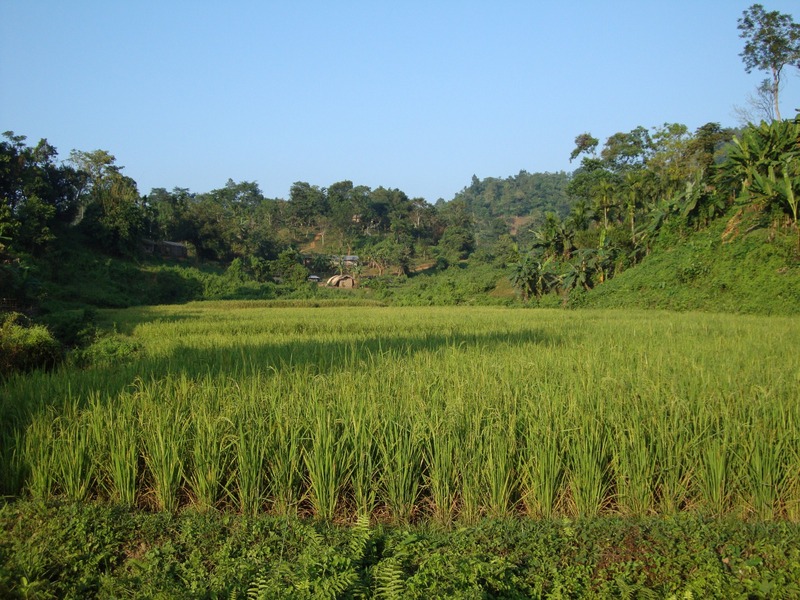 In the absence of formal historical records (the Garo language did not have a written form until the late nineteenth century), we can nevertheless learn something of the Garos’ origins in the distant past. The Garo language bears a striking resemblance to Tibetan. I first became aware of this similarity when I heard a Tibetan monk counting at a monastery in Darjeeling; I could almost have thought he was counting in Garo. 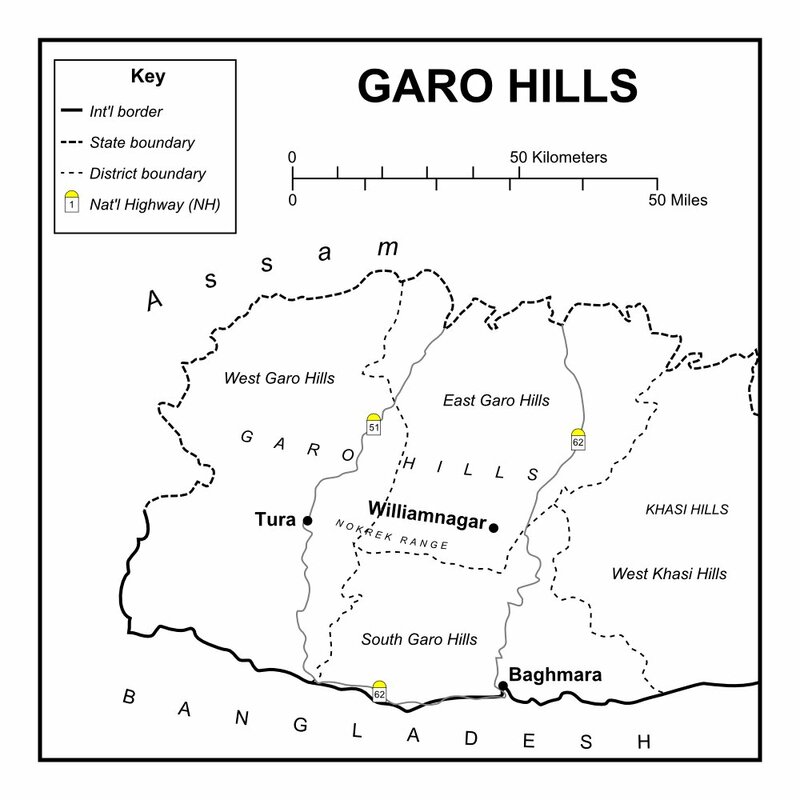 Alan Playfair, district commissioner of the Garo Hills in the early twentieth century, compared Garo and Tibetan vocabularies in The Garos, the first thorough ethnography of the tribe. In an appendix to the book, Playfair identified fifty similar words between the two languages, such as the word for water: chi in Garo and chhu in Tibetan.1 In addition to linguistics, Playfair also identified a handful of other similarities between Garos and Tibetans, notably the Garos’ use of gongs and imported yak tails in their ceremonies. 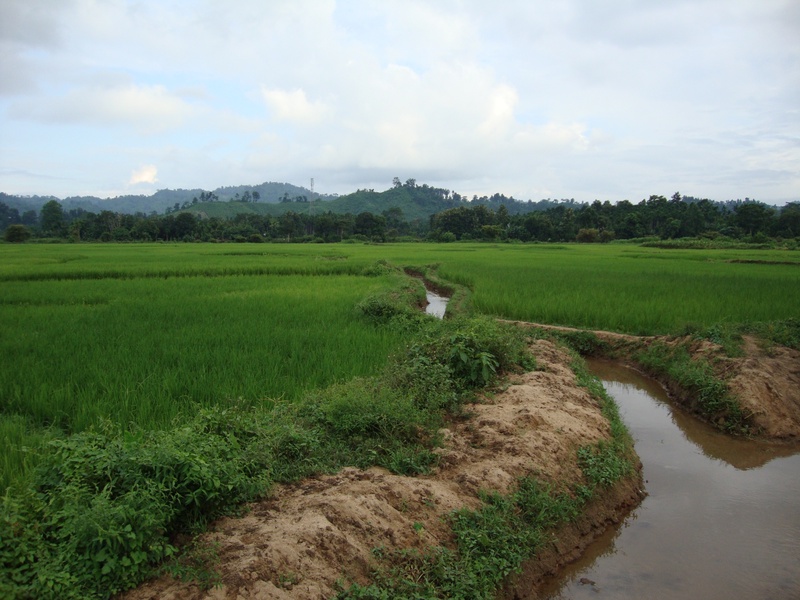 An irrigation ditch among paddy fields. 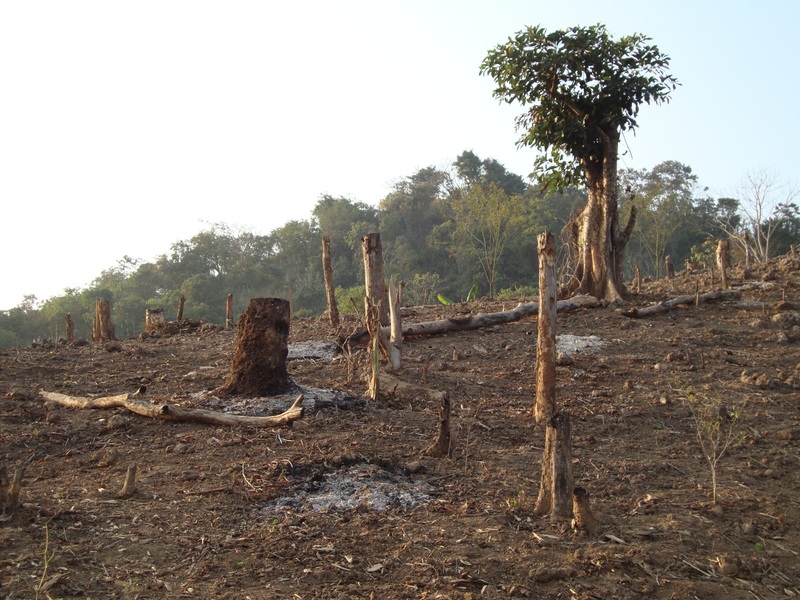 A hillside after the jhum. The Garos made extensive use of various species of bamboo for construction, weapons, tools, fuel, and food. 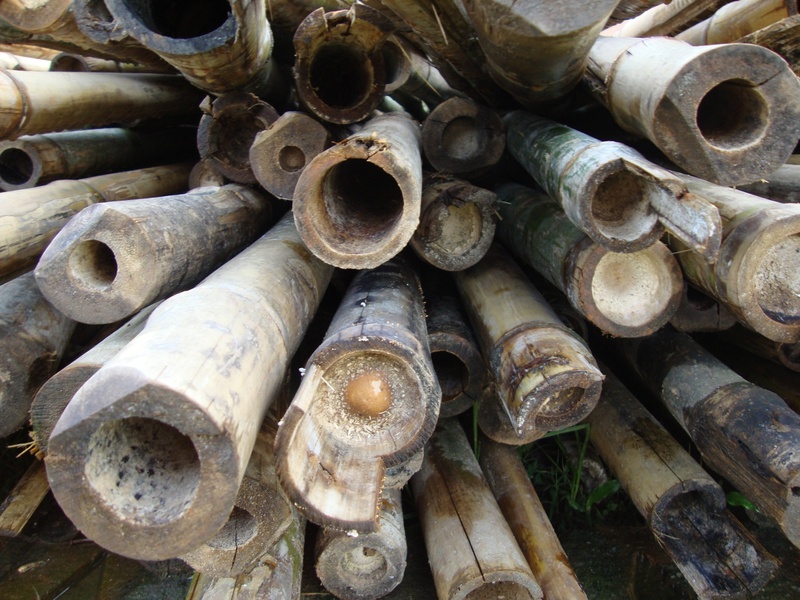 They even used enclosed segments of rhino bamboo (Dendrocalamus hamiltonii) as cooking vessels. They placed rice and water inside the bamboo and turned it until it charred. 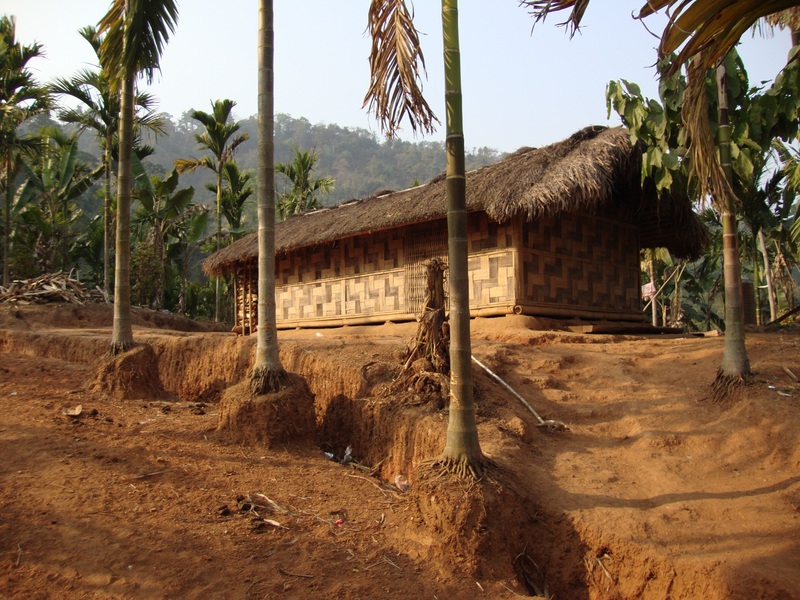 Then they split the bamboo open and extracted the rice.9 Woven together, bamboo could be made into matting that was used for hut walls; the hut frames were betelnut tree trunks and the roof was grass thatch. The Garos also used wood and bamboo to construct bridges and boats for crossing their country’s many streams. Bamboo ready for use in a construction project. 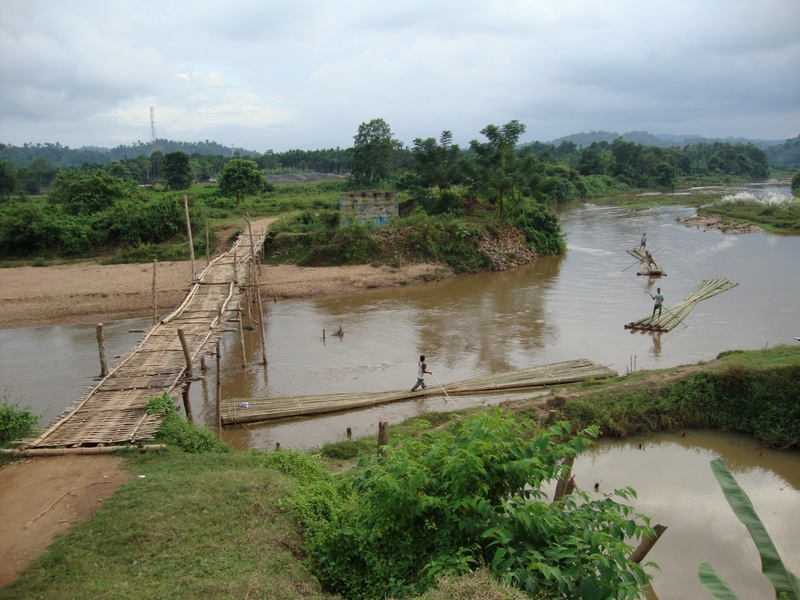 Wooden and bamboo bridge over the Jinari River (left). The bridge is built next to an incomplete concrete bridge (top center). Rafts carry bamboo to market. Having thus adapted to life in Garo-Land, the Garos had few needs that their own handicrafts could not satisfy—save for the yak tails and gongs used in their festivals. Although some Garo farmers grew cotton for trade at Assamese markets, most Garos kept aloof from the market economy.10 The Garos appear only on the margins of the histories of pre-colonial Assam—which is hardly surprising, because that was where most of them seemed content to stay.